So much can be told about your overall health through your stool. One of the first questions the Vet asks is, “What does your pet’s stool look like?” “Can you bring in a sample when you come in?”. Yet, sometimes our own embarrassment or fear causes us to hold back this key health sign in our body. I feel for those who can’t make it through the day without their digestive system literally screaming at them. Weird gurgling sounds with excess gas anyone? To be frank, our digestive system is the one of the first systems to deal with the outside world. It is the first line of defense in what we decide to put inside our bodies. If it isn’t in working order, how do we expect to get the most out of our food? Its healthy function provides support to all other body functions and pathways. So, in my sessions we eventually have to talk poop. Where is that emoji when you need him? Irritable Bowel Syndrome (IBS) is one of the most common disorders seen by physicians. It accounts for about 12% of annual visits and comes with an estimated $21 billion-dollar cost to society. This is measured through direct (medication, appointments, tests) and indirect expenses (decreased productivity and absenteeism). In the US, it has been estimated that 10-15% of the population suffers with IBS symptoms, yet only 5-7% of the adults have been diagnosed. 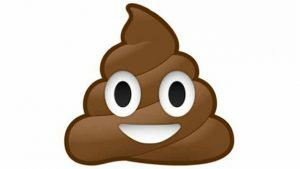 IBS symptoms include things such as: abdominal pain/discomfort, gas, bloating, constipation, diarrhea, and/or alternating diarrhea with constipation. It is important to still seek conventional medicine assessments with testing to help rule out other serious conditions. Your doctor should check for internal bleeding or cancerous polyps. 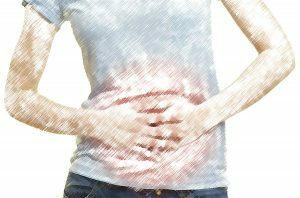 There are even cases where one may think they have diarrhea, but they may be experiencing both at the same time with constipation back up and overflow. This is important to know for proper treatment and sometimes can’t be felt or determined by yourself. The problem with IBS is it’s a broad diagnosis; telling you what you already know, your bowels are irritable! The main modalities of conventional treatment often overlook the root causes and instead prescribe medications to slow or speed up bowel transit or control pain. However, some come with side effects similar to what the patient may even already be experiencing such as more bloating and gas. Our digestion system is such an important barrier between the outside world and the inside of our bodies. A breakdown anywhere in this process can lead to illness. Diving deeper into root causes that impair our digestion can have a huge impact on all other systems. The body wants to get what it needs more efficiently. I have seen people with 15-20 years of chronic IBS. Many times, they recover entirely after they correct their underlying gut problems and adjust their diet. Depending on the length, severity, and past history of ailments, be prepared for the journey! But know that an IBS diagnosis means it’s time to manage your gut better.